Ahh. Now I remember. That’s what my rug used to look like. At Beyond Carpet Cleaning, we offer personalized wool rug cleaning to ensure the fibers are not saturated with moisture. Wool is a natural fiber that soaks up moisture from cleansers quickly, leading to an extremely wet rug that dries slowly. Wool rug cleaning requires using gentle cleansers that lift debris from fibers without using moisture that seeps to underlying layers. In addition, our technicians use state-of-the-art machines to shampoo rugs. When your home has wool carpets or rugs requiring specialized shampooing, make sure to use a well-known service. 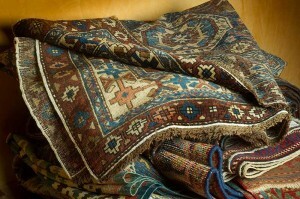 Call us at Beyond Carpet Cleaning today to have expert wool rug cleaning that removes stains without leaving foul odors. We have numerous appointment times available to meet the needs of our customers.